Make the most of your bedroom floorspace with this tall chest. 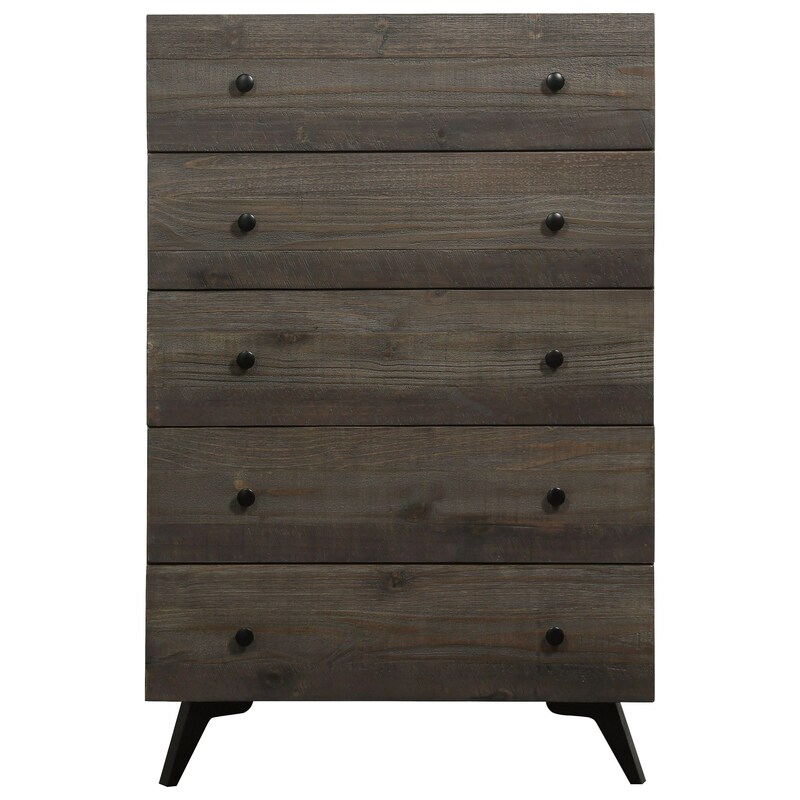 The chest exudes rustic industrial style with its solid wood construction, wire-brushed finishing, and splayed metal legs. Five drawers guarantee ample storage space for clothing and other accessories. The Nevada Solid Wood Chest with 5 Drawers by Modus International at Michael's Furniture Warehouse in the San Fernando & Los Angeles area. Product availability may vary. Contact us for the most current availability on this product.